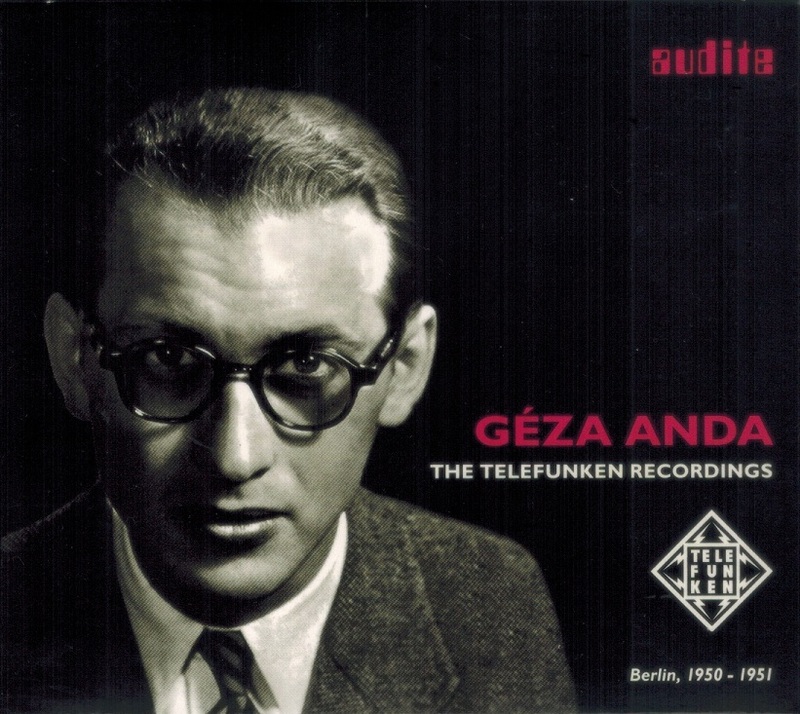 “Géza Anda’s Telefunken recordings of 1950 and 1951, re-mastered for the first time, closes the last major gap in his discography. 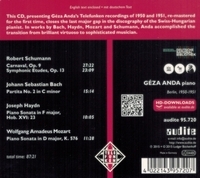 In works by Bach, Haydn, Mozart and Schumann, Anda's recordings are characterised by a distinctive balance of spontaneity and intellectual control, incisive poetry and brilliant technique. 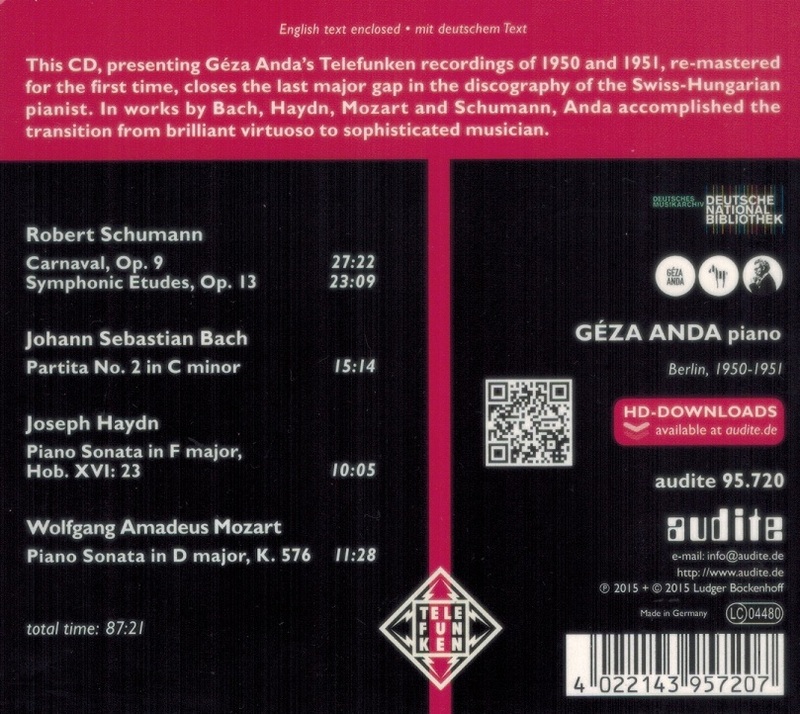 Chronologically, the Telefunken recordings are positioned between Anda’s first recordings for Deutsche Grammophon and the later recordings for Columbia and DG. They document the pianist’s transition from brilliant virtuoso to sophisticated musician. “In an age of well trained automata set to shine briefly on the competition circuit, Anda’s was a wholly personal voice backed by pianism and craftsmanship of a transcendental sheen and precision….Géza Anda’s…tragic death at the age of 54 extinguished a light that could never be replaced."